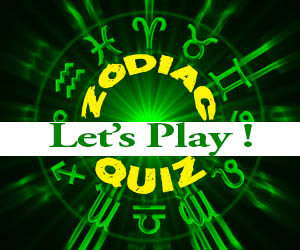 Check out the Pig compatibility with the 12 Chinese zodiac signs. The charming nature of the rat would do its best to ensure that they lure the beautiful pig to their side. Truly, these two lovers are good for each other. Their personalities seem not to clash in any way. For instance, their social natures would pave way for a successful pig rat relationship. Both lovers are good in making people comfortable around them. The pig would appreciate the hardworking nature of the rat lover. The mere fact that they put their families first would certainly impress the pig. It is for this reason that the pig would be more than convinced that this is the partner to hold on to for a long time to come. In spite of the good side of this Chinese zodiac compatibility, these lovers would have to conflict each other over their varying emotional natures. The rat lover opts for an intellectual connection over an emotional one. This infers that they would not concur with the pig’s emotional demands. The pig would be disappointed as the rat would be too busy with their schedules rather than making time for their relationship. The compassionate nature of the pig lover would not impress the rat. This is because the rat finds this a wasteful way of wasting money on people that are not hardworking. As a matter of fact, they would find the pig as blind since they do not notice when people take advantage of their generosity. This relationship works well when the ox is the man in this relationship. The pig being the woman would bring out their feminine aspects to this love affair. In terms of taking the lead, the ox lover would gladly guide this relationship to success with minimal flaws behind it. Keeping in mind that they are an earth sign, they would bring stability that the pig would live to cherish in their relationship. In addition to this, their hardworking natures keeps both of them comfortable as they would easily live up to their dreams. What the ox lover appreciates from the pig is the love and care that they shower them with. The pig would go the extra mile to prove to the ox that they are also committed to this love affair. The aspect of commitment that the pig brings to the table motivates the ox to strive for more that would keep this love affair going. Sadly, the pig lover is a materialistic individual. Bearing in mind that they would crave for a comfortable life, this means that they would splash their money on lavish things. The ox being an earth sign would find this behavior as irresponsible. This love compatibility between the pig and ox would also suffer from the emotional neediness that the pig would hanker for in this love match. If the pig and the tiger are serious about making their love affair thrive, they would try their best to stay away from trouble. To achieve this, understanding would be imperative. The tiger lover would have to understand what motivates the pig to be happy. Equally, the pig would also have to learn more about the tiger in order to avoid conflicts from arising between them. The generosity that these lovers bring to this pig and tiger relationship would keep both of them focused on the good side of their love affair. These lovers would want to change the environment around them. As a result, they would minimize their socialization with the main intention of helping the needy. The tiger’s beauty and glamour would be hard to resist. This would have an impact on the sexual relations that they would have in bed together. The tiger would make the pig recall the intimate moments that they would share together. The good news is that the pig easy going nature would work well with the tiger’s stamina in bed. Pig tiger couple would have to disagree when their emotional aspects are brought to the table. The tiger lover would be consumed with huge projects that they need to attend to. The pig would find the tiger as a distant lover. They would not have time to pamper the pig around. This is what the pig hates and they might opt to find greener pastures elsewhere. The rabbit lover would fall in love with the hardworking nature of the pig. They would be quite sure that this lover would not disappoint them if at all they decide to settle down with them. From the pig’s perspective, they would be happy that the rabbit lover also hates conflict. This means that both of them would strive to have a peaceful Chinese zodiac match that is surrounded with nothing but love. An interesting aspect of the rabbit is that they always put the needs of the pig first. Consequently, their happiness would be gauged by the joy that the pig would find in their relationship. This means that the pig would admire what the rabbit does for them. Unfortunately, it is the good things that this pig rabbit couple see in each other which would have a negative impact on their relationship. For example, their hate for conflict would mean that they would do anything to stay out of trouble. This includes hiding their issues under the carpet. Later on, when these issues pile up, they might overwhelm these lovers and their best move would be to break up. In relation to this, both of you would have to learn to deal with your issues head-on rather than circumventing them. The impulsive nature of the dragon would land them to fall in love with the pig lover. Fortunately, the pig’s personalities would not clash that much with the dragon. In fact, the dragon lover would appreciate the dedication that the pig would show in trying to make their relationship thrive. The pig lover would want the dragon to be happy in this match. This means that they would be the first to compromise and accommodate the dragon without being judgmental. The good news in this pig love compatibility is that the dragon lover has a weakness in them. Their compassionate natures might override their brush attribute. They would also love the pig lover unconditionally. Ultimately, they would bring out their fiery nature in bed for the pig to enjoy the intimate sexual moments they would have together. Sadly, the powerful and domineering aspect of the dragon lover would scare away the boar. The dragon should be careful with the way in which they relate with the meek pig. Additionally, the notion of flirting around would be a huge disappointment on the pig’s end. This is because they offer everything to this relationship and they expect the dragon to at least show some love. The pig compatibility with snake works well on the surface. The first few dates would work well simply because the lovers have a sense of admiration for each other. For example, the snake admires the pig’s innate beauty that matches perfectly with their personality. On the other hand, the pig would adore the confidence that the snake has when approaching life. They are always optimistic that something good would happen when things are going wrong. This implies that they would support and motivate the pig when life seems to be hard on both of them. The pig would work well with the secret life that the snake chooses to live. After all, this would have a positive impact as the pig snake marriage compatibility would be kept away from the public eye. The snake lover would hate the pig’s emotional nature. This partner needs some pampering more often than not. This is something that the snake lover would not be ready to offer. From the pig’s perspective, the manipulative aspect of the snake goes against the values that they uphold in life. The kind hearted nature of the pig would work well with the charming and romantic horse lover. These two Chinese animal signs would complement each other as they are strong in areas where the other is weak in. In this case, the pig lover would ensure that they share an emotional bond that would keep their relationship strong forever. Similarly, the horse’s exciting way of life would keep these lovers smiling all throughout the pig horse relationship. The interesting part is that both of them hate conflicts. The pig and the horse in love would live in a peaceful environment that would pave way for a loving and a fulfilling relationship over the long haul. The pig lover would teach the horse on the importance of taking time before jumping to conclusions. This would have a positive impact on their decision making process as the horse would appreciate the fact that sound decisions are made with second thoughts. The flirtatious nature of the horse would ruin the smooth flow of this love match. The pig lover would detest the fact that the horse does not appreciate the warm love and care that they offer to them. Additionally, the horse lover would find the pig as an obstacle more so when it comes to taking advantage of opportunities that are ahead of them. The horse would want to jump to any open opportunities whereas the pig would take time to weigh the pros and cons of their actions. Emotionally, the pig and the sheep soul mates are on the same page. This implies that they would have a deeper understanding on their emotional needs in this match. They would always be there for one another in ways that other Chinese horoscope signs would not have managed. This is what makes them different and good for each other. The notion of settling down with each other is part of the pig and sheep’s goals. Therefore, they would do their best to settle down together bearing in mind that they see the best in each other. On the dark side, this love compatibility is shaky. Both of them are emotional in nature which means that this love affair would be full of drama. They lack stability that would keep both of them strong over the long haul and sooner or later the pig sheep breakup is on the cards. The pig’s friendship with the monkey would work if at all the monkey lover realizes that their manipulative nature would only hurt the pig. They ought to focus on the good things that the pig brings to this relationship. The pig would give the monkey everything that they need. Their dedication in this relationship is something that even the monkey’s friends would notice. As a result, if would be fair for the monkey to show the pig that they can also love beyond expectations. Well, the good thing about the Chinese monkey sign is the fact that they are always on the move searching for exciting activities to engage in. This is the side that the pig would enjoy in the monkey’s way of life. Ambition would drive the boar and the rooster in love to see the best in the affair that they share. The mere fact that both of them are dedicated individuals would mean that they would offer their best in this relationship. The rooster admires the compassionate attribute of the pig. They crave to make the world a better place to live in. This admiration would drive them to offer the pig with the motivation and support that they need to make their dreams into a reality. Remember, the rooster is a lover that leads a practical life. Consequently, turning dreams into a reality is part of their specialty. Showing each other concessions from time to time would be a key to ensuring that pig compatibility with the rooster blossoms. The pig lover will have to accommodate the rooster in their lives without pointing fingers on why they choose to be perfectionists. Equally, the rooster would have to bend a little and prove to the pig that they are ready to walk the extra mile with them. The values that the pig and dog in love uphold would have a positive impact on their relationship. These lovers are honest towards each other. This implies that trusting each other would not be a problem. The sense of trust that they have for each other would ensure that they open up to each other freely. This is what keeps these lovers going. They understand each other’s strengths and weaknesses hence they are strong together as a couple. When their emotions are compared, the pig and dog soul mates would be glad that they met each other. Both of them carry their hearts on their sleeves. Consequently, being there for one another would be a priority that they would love to uphold in their relationship. These emotional lovers would never realize the realities of life that faces them. Their emotional aspect would blind them from living a more practical life. Yes, they are good for each other, but they would also appear as weak since they lack stability in their relationship. The understanding and trust that they share should be fully exploited to ensure that the best happens to the pig dog relationship. When two pigs are in love with each other, you can rest assured that this would be a love match based on understanding. Both lovers are emotional signs. This means that they would understand and relate to each other on an emotional level. The pig appreciates the warm shoulder that their partners would offer them without questions. The best part of this Chinese love match is their romantic nature. They would shower each other with romantic gestures frequently. This is the only way that the pig man or woman would keep their counterparts focused on their blissful love affair. The honesty that they bring to the table would also have a positive impact on the Pig Pig relationship. This would pave way for trust and mutual understanding in this love match. Keeping in mind that they trust each other fully, there is a good chance that finding love in each other would be easy. Challenges are part of any naturally existing relationship. 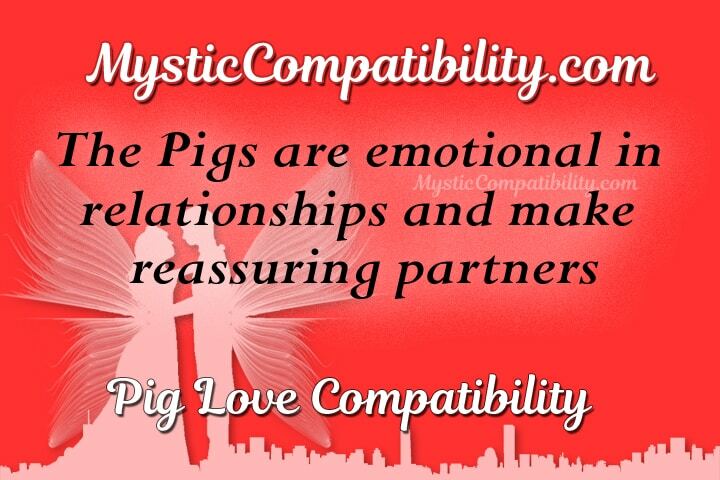 The Pig compatibility would also have to deal with their hurdles for their relationship to thrive. The main issue for both of them would be finding stability in their love affair. They lack the earthly nature that the ox or the snake would offer. Moreover, their emotional aspect would mean that this relationship would be full of drama. Thus, they ought to be careful with the way they relate to each other.